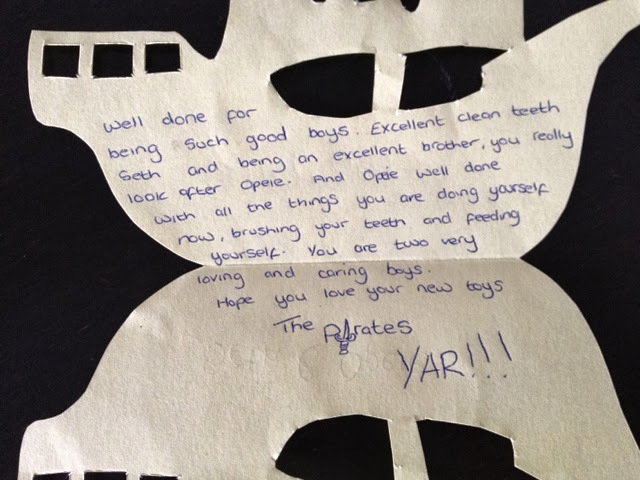 Gifts from the Pirates: "Our thinking and our behaviour are always in anticipation of aresponse. It is therefore fear-based." "Our thinking and our behaviour are always in anticipation of aresponse. It is therefore fear-based." It had been a while since the pirates had visited the house, not because the boys had been misbehaving but because we're saving for something (all will be revealed). The boys have been so good and we thought they deserved a mini treat. For those of you that don't know where our name came from, this ones for you. 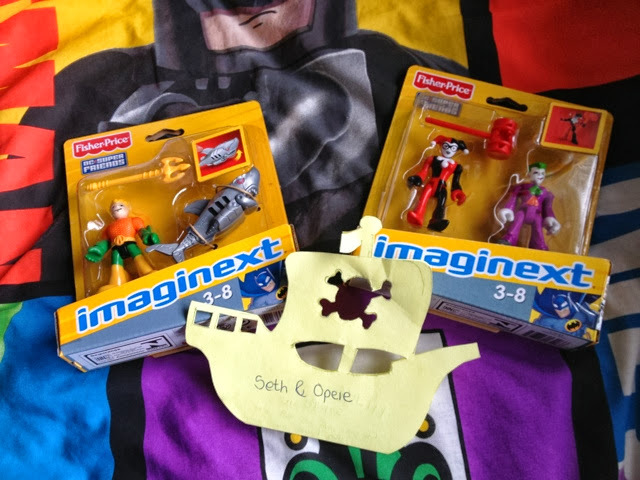 We Introduced the pirates in to our daily life to keep Seth's behaviour at a level you expect from your child and to reward him for being a great kid. He's never been a naughty child but he did go through a phase of throwing some pretty immense temper tantrums. To be fair I put a lot of it down to the transition of having his life split in two and going from house to house. The pirates watch the boys all the time, much the same as Santa who watches them at home through the light fixtures (quite a creepy thought really). The pirates though watch the boys EVERYWHERE. When they have a good run of excellent behaviour or they do something especially great they are rewarded and this can happen anywhere. 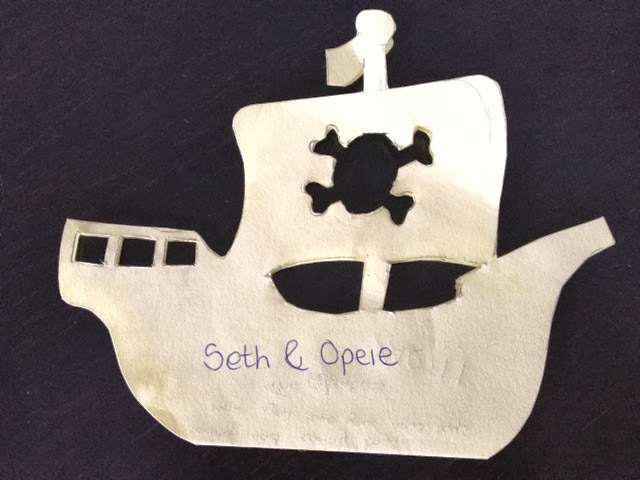 When Seth was ill in hospital the pirates visited and left him something in his room. they leave things in his car seat when hes had a great parents evening. They've even been known to leave gifts on benches in parks. When were at home and the pirates have been, the boys hear the sound of waves crashing against the beach (good old white noise app on the iPhone) and they excitedly search the house looking for their message. The pirates have become a big part of our lives, even more so with the blog being started. What's nice is that all the excitement Seth has already had from it Opeie is now just starting to understand. Seth and Opeie are great children, thoughtful and caring. The way we bring them up has everything to do with that and the time and effort we make with them has been important to their development. It's nice to think that those pirates in the sky have a little influence on that though too.